I was not exactly ecstatic when I drew Isak Dinesen once again this week. Last week, I drew another of her stories from Winter’s Tales a collection of “fairy tales” and did not enjoy it much at all. 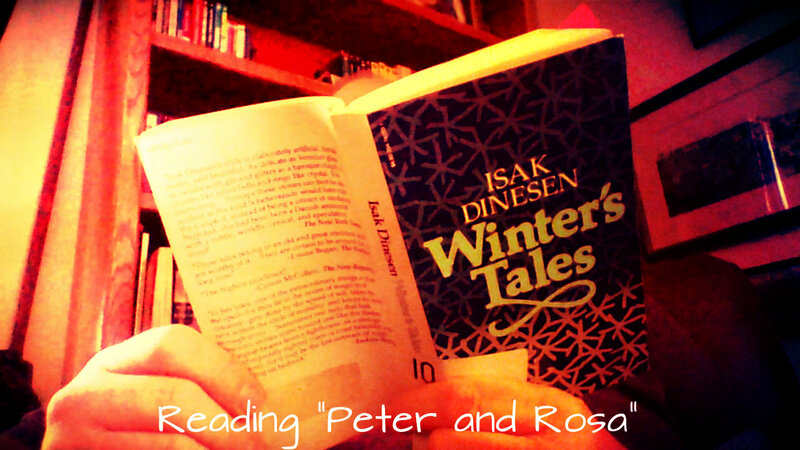 So I was surprised to find how much I really loved “Peter and Rosa” which is the penultimate story in that volume. Ms. Dinesen went up against “Red Wind” a Philip Marlowe story from Trouble is My Business by Raymond Chandler. Raymond Chandler is sometimes credited with inventing Los Angeles. Not with building the city, of course, but with setting the fictional trope of L.A. firmly in the reading, and probably movie going, public’s mind. I suspect this is probably true. I loved both stories this week. So much so that I an honestly say “more please” to both authors. I’ve long been a fan of Raymond Chandler so that’s no surprise, but to find myself wanting more by Isak Dinesen is not something I expected. I’ve been trying to link the two stories I randomly read each week somehow which has been fun, but may be coming to a close with this entry. I’ll probably just choose the one I like best as the one I recommend after this. I do think I can connect Chandler and Dinesen because they are both known for their writing style. Dinesen’s is very writerly, very stylistic and formal while Chandler is the guy who invented the wise-cracking tough-guy narrator with his clipped speech and his acerbic take on nearly everything. One year, a century ago, spring was late in Denmark. during the last days of March, the Sound was ice-bound, and blind, from the Danish to the Swedish coast. The snow in the fields and on the roads thawed a little in the day, only to freeze again at night; the earth and the air were equally without hope or mercy. “Equally without hope or mercy” is darn good if you ask me and it provides a glimpse of how her story is going to end. I think one reason why I liked this story so much is that while it often feels like a fairy-tale there are no elements of the supernatural in it. It’s basically a real life story of youthful romance gone very wrong. The setting, as hinted at in this opening paragraph, provides for an ending that makes the story like a fairy-tale though not a happy one. I think you can see from this opening paragraph why Raymond Chandler sometimes gets the credit for inventing Los Angeles. If you’ve ever experienced the weather he’s talking about, then you know how true to life he is. Philip Marlowe’s voice is contained completely in this paragraph with the repeated “and”s in the second sentence, note the way the echo “Santa Anas”. The dismissive tone of “meek little wives” and the way he dismisses it all with the sarcastic aside in the last sentence. So both Dinesen and Chandler as masters of style. I think that’s fair. If I have to choose, which I will starting next week, I’ll go with Chandler. I’m sure that I’ll be reading more of his stories, but there is now a decent chance that I’ll also be reading more of Dinesen’s as well. It’s like a jazz concert. You have to listen to a few raggedy tunes before something great happens, but when it does, it’s worth the wait. I’m glad you enjoyed this particular Dinesen better than your last exposure! Chandler…You know, it’s odd. Until very recently, I wasn’t aware he wrote short stories! I’d only heard of his novels. I’ll definitely be considering him for next year’s Deal Me In list. I enjoyed your juxtaposition of the two “weather” paragraphs and liked the “equally without hope or mercy” line too. Two very differ writers, and two very different climates! 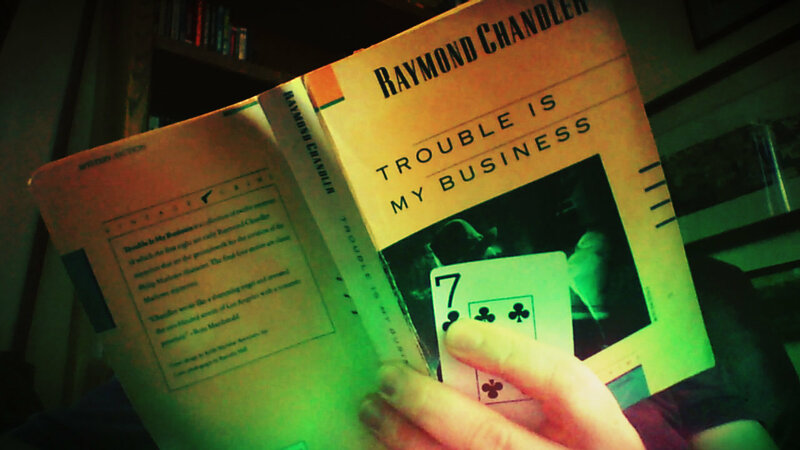 🙂 It’s hard to believe, but I don’t think I’ve ever read any Raymond Chandler. Shame on me. I’d never heard that bout his “inventing Los Angeles” idea, but I like that. Chandler’s short stories are a great way to get a taste of his writing, especially the Philip Marlowe ones. You can get a clear sense of his style and his humor without falling into the rabbit hole his novels almost always become. But, I do love that particular rabbit hole.